Now, let’s move on to the ingredients in my oat bran porridge recipe. Obviously there are oat bran aka outer shells of oat seeds. The glycemic load of oat bran is about 2.5 times lower, i.e. you can have more oat bran without causing blood sugar spikes. Oat bran has about 55% more fibre, 24% more protein, and about 6% more fats than oatmeal. As far as minerals are concerned, there is 26% more iron in oat bran. Oat bran and oatmeal are similar when it comes to caloric value and content of potassium, calcium, magnesium and zinc. One thing where oatmeal beats oat bran is sodium content. Namely, oatmeal has 50% less sodium. However, this does not become a concern if you use salt sparingly. Oat bran has shown to slow down the digestion of carbs, thus reducing harmful spikes and drops in blood sugar. 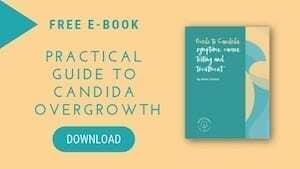 Stable blood sugar is crucial for healthy body, especially for those struggling with Candida overgrowth, hormonal imbalance and/or diabetes. 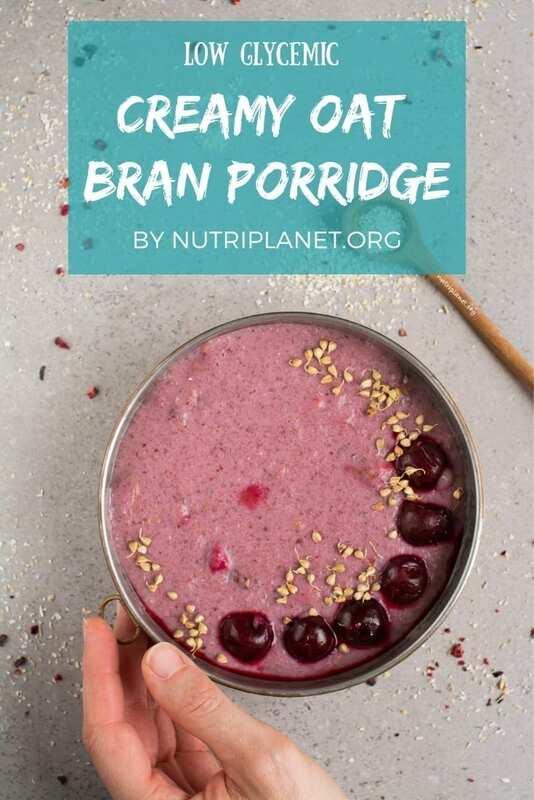 I myself discovered oat bran porridge back in 2016 when I started vegan Candida diet. It turned out to be a great low carb breakfast, but still porridge. In fact, I was pleasantly surprised of how creamy cooked oat bran could be. Consequently, oat bran has been part of my daily menu ever since. Second very important ingredient in this porridge recipe is soft silken tofu. The latter is what gives the porridge extra creaminess and heartiness without adding a lot of fats. In this porridge recipe I use soft variety that requires refrigeration. However, silken tofu is sometimes packaged in aseptic boxes that do not require refrigeration. Due to this, it can be sold in a different section of supermarket. 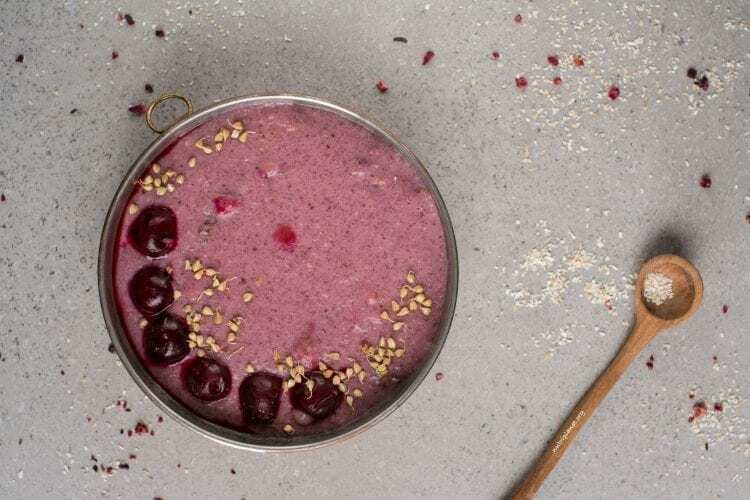 Next, being an excellent source of high-quality protein, antioxidants called lignans, fibre and omega-3 fatty acids; ground flax seeds give an extra nutritional boost to my low carb porridge recipe. It’s super easy and quick to cook oat bran porridge, as it doesn’t require soaking. Mix oat bran with water or plant-based milk or the mixture of both. The water-oat bran ratio greatly depends on desired consistency, but ¼ cup oat bran to 1 cup of water is a good starting point giving you thicker porridge. Bring to boil and simmer for 5 minutes whisking every now and then. Turn off the heat; add ground flax seeds, desired spices, sea salt and sweetener. Top your oat bran porridge with berries and/or a sprinkle of nuts and seeds. 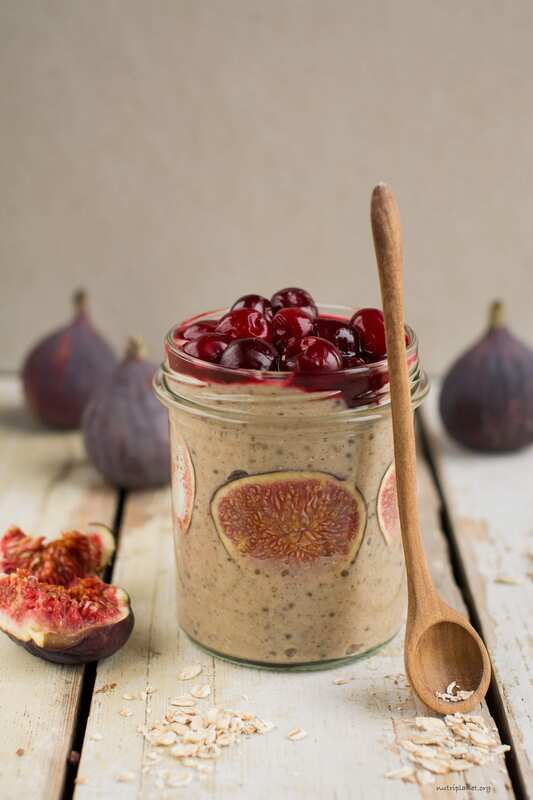 Make a version with chia seeds and figs! Now, I’d like to hear from you! What is your relationship with oat bran porridge? Neah or yeah? Have you ever tried cooking porridge with silken tofu? Let me know in comments below and tag me in social media! Start by blending your silken tofu until it has smooth consistency. Transfer into glass jar. Then, take a small pot or saucepan and mix oat bran with water. Bring to boil and simmer for 3 minutes whisking every now and then to avoid sticking and lumps. Next, mix in 150g of blended silken tofu, whisk vigorously and simmer for another 3 minutes. Turn off the heat and stir in Himalayan salt, flax seeds, cinnamon and stevia. Taste and adjust if necessary. Finally, add the cherries. If you use frozen, let them thaw for a bit before crushing them with a fork or potato masher for nice red colour. Nutritional info per serving: 268 kcal, 26.7g carbohydrates (57.2% of kcal), 8.91g fats (29.9% of kcal), 15.6g protein (23.3% of kcal), 9.16g fibre, 196mg sodium, and 10.5 GL points. Optional: garnish with some extra cherries and/or sprinkle on some dehydrated sprouted buckwheat, chopped nuts and seeds. Store the leftover silken tofu in airtight jar or container in fridge and use it up in 4-5 days. 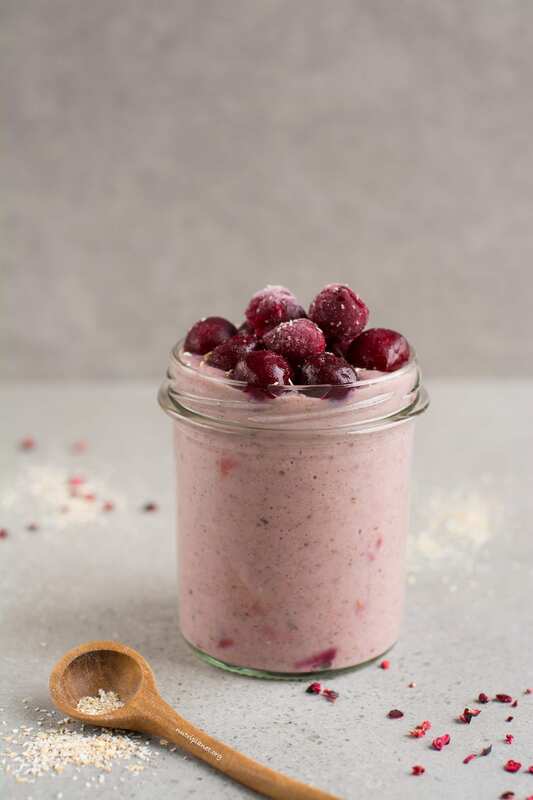 Recipes using silken tofu: Tofu and Pumpkin Cheesecake, Tofu Cheesecake with Purple Yams, Tofu Tartlets, Tofu Cashew Cheesecake Dessert Bowls, Vegan Cream Cheese Frosting, Matcha Cheesecake with Cherries, Vegan Tiramisú. Feel free to substitute some (or all) of the oat bran with regular rolled oats if you’re not following low glycemic diet. Plant-based milk can be used instead of water. Opt for additive-free organic varieties. Particularly look for added salt, sugar and oils. You can use ground chia seeds instead of flax seeds. However, be aware that chia seeds absorb a lot more liquid, so be ready to add more water or plant milk. Definitely grind the flax seeds yourself and don’t buy ready ground seeds. It’s because ground flax and chia seeds (or any other nuts and seeds) go rancid very quickly if kept in light and at warm temperatures. Store the ground seeds in airtight container or jar in fridge. Finally, try also blueberries and raspberries instead of sour cherries.